New Year’s Day – Lucky Foods to Eat made with Ragus’ pure sugars! New Year’s Eve and New Year’s Day mark the beginning of 2019 and people all around the world believe in certain superstitions that will bring them health, wealth, long-life and happiness for the year to come. Many of these superstitions involved eating certain foods to bring good luck; even the least superstitious amongst us can indulge in some of these symbolically lucky foods, after all there is no harm in trying to make 2019 a successful year! Plus, the good news is that many of these lucky foods use pure sugars and syrups as ingredients, products that we supply here at Ragus! Travelling around the world you will come across many different New Year’s customs, for instance in Spain, Mexico and Portugal, eating 12 grapes at midnight, one for every strike of the clock, on New Year’s Eve is said to bring you good luck for the 12 months ahead. Pork dishes are also eaten in many cultures to bring good fortune for the new year; pigs root around with their snouts moving in a forward motion, so people eat pork to symbolise progress for the coming months. There’s the Greek tradition of hiding a coin in a lemon-flavored cake called a vasilopita to bring you good fortune or then there are the Italians who eat honey-drenched donuts. However, the superstition that excites Ragus the most, is ring-shaped cakes and other rounded sweet treats and bakery items. The ring-shape is meant to symbolise a full circle of luck to the eater. So, whether you’re going to eat a bagel or ringed donut for breakfast on New Year’s Day morning or bake your own Bundt cake you could be on your way to bringing luck to your year ahead; a Bundt cake is baked in a Bundt pan, shaping it into a distinctive ring shape. As Ragus specialises in manufacturing pure sugars and syrups for food, drink and pharmaceutical industries here’s our Brown Sugar Bundt Cake Recipe made with our own Dark Soft Brown Sugar which provides a strong flavour and colour to cakes, toffee and savoury sauces; it is also high molasses content which adds moisture to cakes. 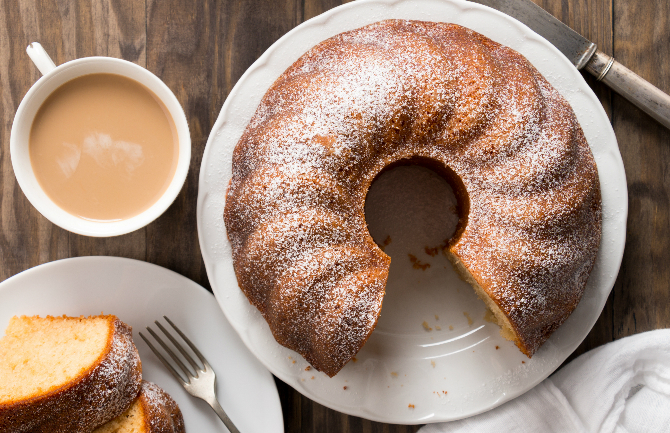 Our Brown Sugar Bundt Cake is perfect for the long chilly winter mother, coupled with a steaming mug of tea it is bound to brighten your spirits this New Year! Grease with butter the Bundt tin and lightly dust with flour. Do not leave excess flour in the tin. Mix together the butter and sugars until the texture is fluffy and light. Add in the sour cream and one by one, the eggs, folding continuously. Add flour, salt, and vanilla, followed by the baking soda. Pour into prepared Bundt tin and bake for 1.5 hours or until cake tester comes out clean. Remove from oven and rest for 15 minutes before turning the cake out onto a wire rack. Allow time to cool. 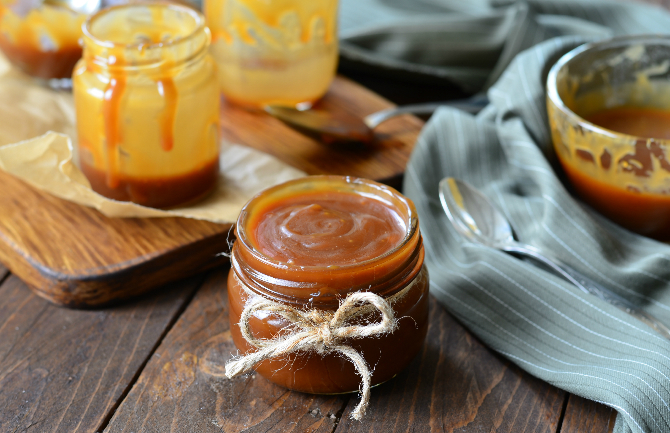 Why not accompany your Brown Sugar Bundt Cake with our delicious salted caramel sauce made by using two of Ragus’ ingredients? Firstly, Ragus’ Soft Brown Light Sugar which adds flavour and colour to cakes, toffee and sauces. It’s finer grain size rapidly dissolved for sauce and toffee preparations and its molasses content adds flavour.